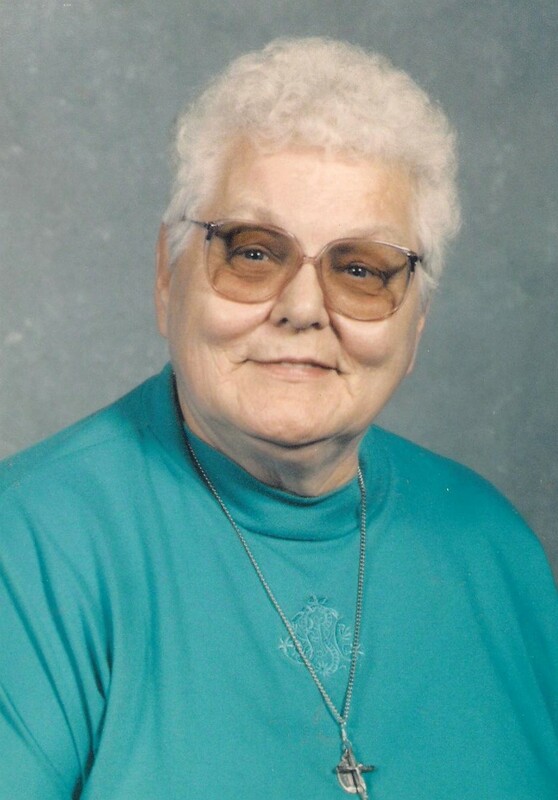 Edna L. Perrault, 87, formally of DeKalb Junction, died, March 21, 2013, at United Memorial Medical Center, Batavia. Calling hours will be, Sunday, March 24, 10 am -12 PM; and Monday, March 25, 9 am – 11 am, the funeral service will be at 11am. Burial will be in Pine Hill Cemetery, Eel Weir. Edna is survived sons, Gary Eugene Perrault, Indiana, William Clarence Perrault, Rochester, Stanley Gilbert Perrault, California, Nelson Louis Perrault and Darlene Webb, Tennessee, a daughter Renee Chase, Maryland, a daughter in law, Elaine Perrault, Tennessee, brothers, Gilbert Stanley Hughes, New Mexico, Arthur Hughes, Pennsylvania, Gerald Hughes, Arizona, Nelson Hughes, Pennsylvania, Melvin Hughes, Pennsylvania, Dale Hughes, North Carolina, a sister, Marion Kramer, Tennessee, 12 grandchildren, 21 great grandchildren, several nieces and nephews. She was predeceased by a son, Bruce Evans Perrault, and brothers Howard and Ottto Hughes. Edna was born on January 5, 1926 in Ambridge, Pennsylvania, the daughter of Gilbert and Clara Meinhardt Hughes. She married Clarence Perrault on October 22, 1949; he died April 6, 1979. Edna was a homemaker, and a housekeeper for St. Henry’s Church’s Pastors. She was a parishioner of St. Henry’s Church, a member of St. Henry’s Altar Rosary Society, and the DeKalb Junction Volunteer Fire Department Ladies Auxiliary. She loved taking care of her grandchildren, cooking, going for walks, singing and reading the bible. In lieu of flowers donations can be made to the Alzheimer’s Association.